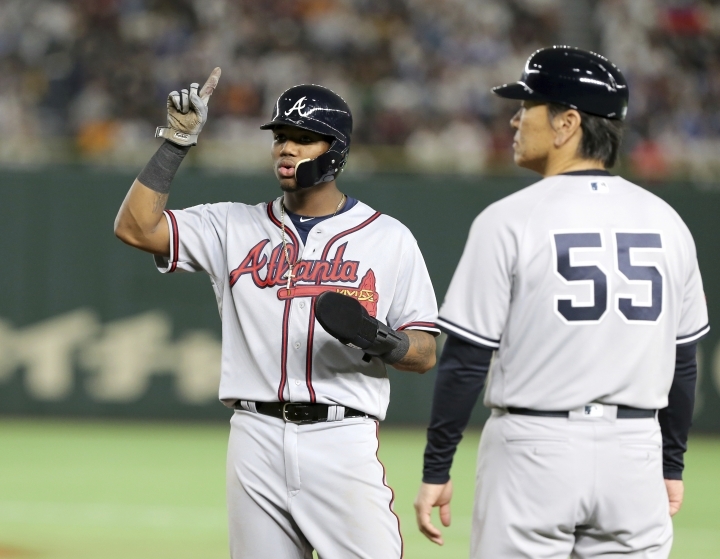 HIROSHIMA, Japan — Atlanta Braves outfielder Ronald Acuna Jr. woke up in Japan to news he had been named National League Rookie of the Year. 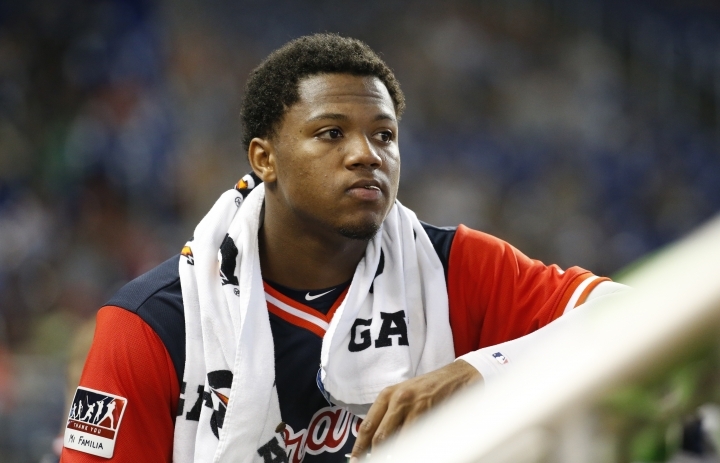 Acuna was a runaway choice for the award over Washington outfielder Juan Soto in a contest between 20-year-olds. "I'm just flattered, I'm so honored," Acuna said through a translator. "My career is just starting. There are so many things I need to do to be a better player. I'll take advice from anyone who will help me improve." Acuna received 27 first-place votes and three seconds for 144 points. Soto got two firsts and 89 points, and Los Angeles Dodgers pitcher Walker Buehler was next with one first and 28 points. Both Acuna and Soto are in Japan with a major league All-Star team. Acuna started the season at Triple-A and made his debut on April 25, the youngest player in the majors then at 20 years, 128 days at the time. The Venezuelan hit .293 with 26 homers, 64 RBIs and 16 steals with a .917 OPS. He set a Braves record with eight leadoff homers this season and tied a franchise mark by homering in five straight games from Aug. 11-14. Acuna paid tribute to his fellow nominee before Tuesday's Game 4 of the exhibition series in Hiroshima. "It's always fun to play with Soto," Acuna said. "I also really enjoy watching him play. We are having a great opportunity to play together here. We enjoy and inspire each other to be better players." Shohei Ohtani was an overwhelming pick for American League honors despite an elbow injury that stymied his move from Japan to the major leagues and likely will prevent him from pitching next year. Ohtani was 4-2 with a 3.31 ERA and 63 strikeouts over 51 2/3 innings in 10 starts. As a designated hitter, he batted .285 with 22 homers and 61 RBIs and a .925 OPS in 367 plate appearances. Acuna also had high praise for Ohtani, who played five seasons with Japan's Nippon Ham Fighters before moving to the Angels. "He is incredible," Acuna said. "He can pitch and hit at a high level. So I want to congratulate him on receiving this award."